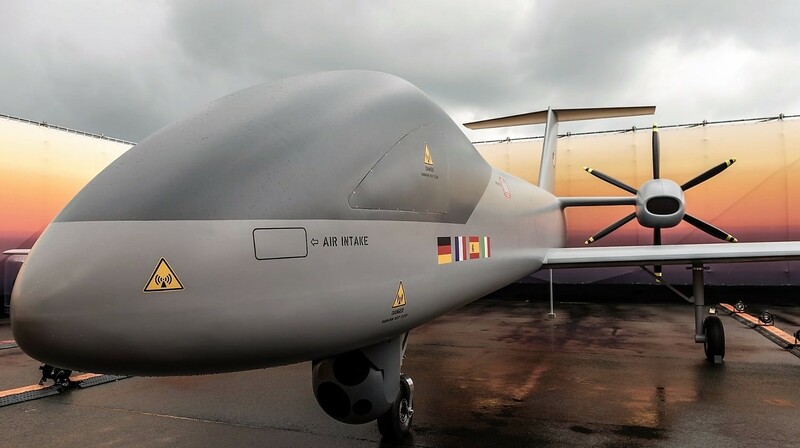 A full scale 1:1 model of the future European Medium Altitude Long Endurance (MALE) unmanned aerial vehicle (UAV) was unveiled at the 2018 ILA Berlin Air Show being held from 25 to 29 April. The multi-national program led by Airbus Defence and Space (Germany and Spain), Dassault (France) and Leonardo (Italy) has selected a twin prop configuration for the RPAS ( Remotely Piloted Aircraft System). The reveal ceremony was led by Dirk Hoke, Airbus Defence and Space Chief Executive Officer (CEO), Eric Trappier, Dassault Aviation Chairman and CEO and Lucio Valerio Cioffi, Leonardo’s Aircraft Division Managing Director. The unveiling reaffirmed commitment comes after a nearly two-year definition study launched in September 2016 by the four participating nations and follows the Declaration of Intent to work together on a European MALE unmanned aerial system signed by the countries in May 2015. The UAV has a pusher propeller configuration similar to the Italian Piaggio Aero Hammerhead and BAe Systems Mantis UAV, providing redundancy to operate in commercial/non-segregated airspace. Once operational, the system will be operated worldwide, in particular to support ISTAR (Intelligence, Surveillance, Target Acquisition and Reconnaissance) missions with a variety of payloads as well as ground support missions with precision weapons engagement. 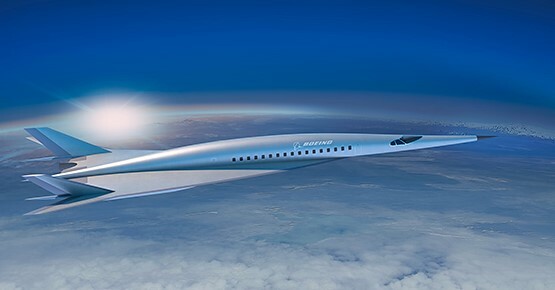 Development is slated to commence later this year, with a maiden prototype flight targeted in 2023 and first delivery in 2025. Onboard electronics will be supplied by Thales (France), Hensoldt (Germany), Elettronica (Italy) and Indra(Spain). The European MALE UAV will replace the US made General Atomics MQ-9 Reaper flown by France, Italy, Spain and the IAI Heron UAV flown by Germany.